Born in a small town with the “BIG hole”, Kimberley, Lindsay moved to the City of Gold at the age of five. At 13yrs, she volunteered for boarding school – and her parents sent her to St Michael’ s School in Bloemfontein. At school she loved sport – playing provincial hockey and completing her senior ballet and modern dancing exams. She returned to the TLC of her parents, and attended WITS University, where she completed both her Bachelors and Masters degrees in Physiotherapy – with special interest in Sports Physiotherapy. After the strain of a master’s degree – she “fled” to the United Kingdom, where she worked and travelled for two years, travelling throughout the United Kingdom and Europe. Lindsay returned to South Africa to work in an Orthopaedic sports and rehabilitation centre – working closely with specialist orthopaedic surgeons, and other members of the multi disciplinary medical team. Lindsay has very recently joined Bell Rogers and Harris as a business partner – and is excited about the extensive growth and vision of what is a dynamic, friendly and caring practice. While she treats all orthopaedic and sports injuries, she has a special interest in the shoulder and ankle joint assessment, diagnosis and rehabilitation, has spent many an hour on the side of the sports field – doing on-field sports physiotherapy, and loves being involved in any screening and preventative intervention for adolescents, athletes and sports fanatics. Her love for the profession and ongoing teaching within it – has led to her being involved in the post graduate Sports Physiotherapy Course (SPT), which she will, together with a strong team co-ordinate in 2014. In order to remain current, she continues to attend courses, congresses and meetings. Founding partner of Bell Rogers & Harris in 1989 (formerly known as Bell & Harvey), Northern Irish born Tanya takes her heritage seriously and enjoys injecting humour, tradition and warmth into the daily running of what has become one of Johannesburg’s most respected Physiotherapy practices. Her fiery side is magnificently tempered by partner and friend Suzanne and the addition of new partner Lindsay will add an exciting new dimension and strength to the practice. The combination of a Masters degree in Physiotherapy, involvement in multiple international teams and sports events, a love of competing in sport and a fierce thirst for knowledge culminated in the development of Tanya’s lecturing career. Tanya’s teaching of posture, biomechanics, kinematics and the quest for finding the source of a patient’s pain has sent her all over the world including the UK & the Channel Islands, UAE, USA, Africa and India. 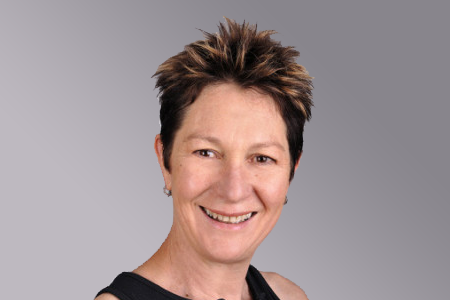 She has been a keynote speaker in both Orthopaedic and Sport congresses both locally and abroad. Tanya’s fascination with anatomy has assisted in developing rehabilitation programs aimed at correcting postural and biomechanical faults to improve self-esteem, reduce pain and dysfunction and enhance performance. Out of the office Tanya loves cycling & physical challenges. She blends a love of snow – skiing and the Bush with quality family time. Two great kids and a wonderful husband keep the balance. Suzanne is the “Rogers” of the dynamic Bell Rogers & Harris Physioworx team and as such, is one of those responsible for the smooth running of the ship! She qualified as a physiotherapist in 1990 from UCT and started her adventure into rehabilitation working at the Conradie Spinal Injury Unit in Cape Town. Following the compulsory year working on the UK locum physio circuit and travelling Europe, she returned to SA to complete the post-grad course in Orthopaedic Manipulative Therapy. Before having a family she gained lots of experience travelling with various sports teams. A highlight for her was attending the 1996 Atlanta Paralympic Games with the SA team. 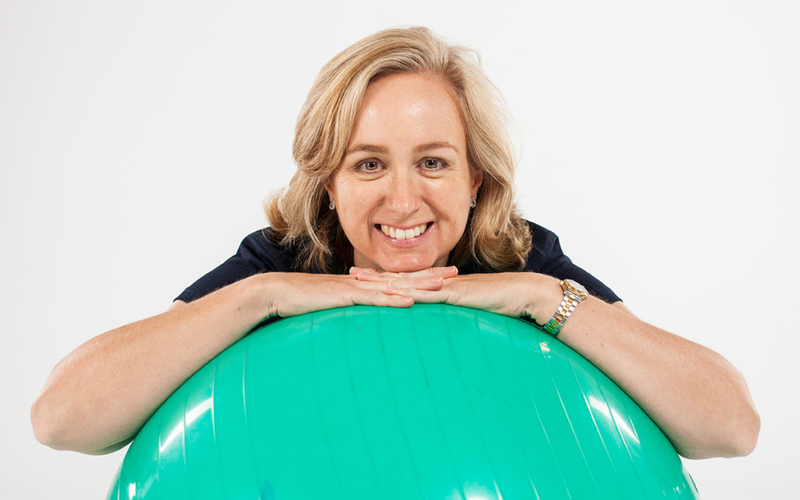 Suzanne stays up-to-date with current physio trends by attending courses and conferences, both locally and internationally. She currently lectures on both the post graduate Orthopaedic Manipulative Therapy and the Sports Physiotherapy Courses. She has a passion for hydrotherapy and is constantly amazed at the results that can be achieved when rehabilitating a client in the water. Suzanne is a Libran and is drawn to achieving balance in her life between her career and her family. She is kept busy working on her management skills both at the physio practice and at home being a mother to two teenagers! Growing up in sunny Durban, Nicole decided it was time for a change of scenery and headed down to Stellenbosch to study human movement studies. Having always been a keen and active sportswoman, especially all things water, “playing sports all day” seemed the ideal study path and future career option. After completing her undergraduate, not quite getting to play sports ALL day, she headed to the big city to complete her honours degree in sports science and then Biokinetics at RAU. When the opportunity arose to do her Internship at a practice with a Hydrotherapy facility, Nicole jumped at the chance and discovered she could combine her three loves: - Helping people, being in the water and talking all day! When not in the swimming pool for work, Nicole loves being outdoors, taking on new physical activity challenges, the biggest being keeping up with her husband and two young sons! Passionate about helping others and with a love for physical activity, Jenna-Lee decided to study Biokinetics. She completed both her undergraduate and postgraduate studies at the Nelson Mandela Metropolitan University. For internship she decided to spread her wings, after growing up in a small town, and relocated to Johannesburg. Jenna-Lee was extremely excited about going into a private practice after her internship where hydrotherapy was the main modality as she has a keen interest in this form of therapy. She has completed level 1 and 2 in Advanced International Aquatic Therapy Techniques and would like to continue studying aquatic therapy to acquire skills such as Watsu and Underwater dancing. When it comes to treating patients, Jenna has focused most of her attention on spinal cord injuries, neurological conditions and back patients. Christina was born and schooled in Krugersdorp where she matriculated at Monument High School. Her sporting activities included horse riding, swimming and provincial netball till Matric. She began water skiing and speed skiing in her early high school days. Her accomplishments include passing 3rd year Physiotherapist, and then going on to study education and receive various diplomas for Fitness and Aerobics. Christina keeps in touch with the latest developments in the health, wellness & fitness industry and is registered to do international qualification in Golf and Pilates in early 2014. Christina is looking forward to providing Classical Pilates courses throughout 2014! Enthusiastic, experienced and advanced qualified Pilates Instructor required to join our team in Bryanston. Qualifications: Classical Pilates, Basi or Stotts Pilates. Certified in Program Design, exercise techniques and orginazation. (3rd generation trainer, trained by Romana Kryzanowska), Houghton, Jhb. Pippa was born and bred in Jo’burg and taught school, and dancing, for 10 years before stopping to be a ‘stay at home mum’. Her affiliation with this practice started in 1994, when she was a patient of Tanya’s. In 2012 Pippa was asked to help, as a locum at reception, at the Melville practice. Now she works ‘front of house’ for Physioworx with Bell, Rogers and Harris at Off Nicol. Jane was born and grew up in Zimbabwe. She moved to Johannesburg 5 years ago for “greener pastures” and for the love of South Africa. Jane has a Matric certificate and a call centre certificate and is currently in the process of getting her certificate in Medical Reception. She loves working and facing new challenges! Keeping everything tidy and in order is what she does best! Jane is a mother of one and loves spending time with her family. During her spare time she likes travelling and cooking. Mathe was born and raised in Mozambique and moved to South Africa 6 years ago. He completed his education at Escola High School. Using his hands is what he knows, and does best. Mathe looks after the premises and makes sure that everything is in order! During his spare time he likes watching wresting and movies. committed to therapeutic growth and development. Hayleigh was a gymnast for many years and is now happy to combine both her passions as she works with the South African Gymnasts. She is passionate about working with people especially children and has a keen interest in orthopedic rehabilitation as well as neurological conditions. Gretha Garnett is a hard-working, dedicated, motivated and loyal person who loves working with people. She's driven to make a difference in other people's lives. A challenge inspires her and that is what she believes biokinetics is all about - when a patient walks into her practice with an injury/disability, she will do whatever it takes to help that patient achieve his/her goal. I'm a biokineticist in private practice since 2007 and have gained exceptional experience over the past 9 years. My mission is to provide patients of all ages with individualized and specific assessment, treatment, and training programmes. Patients receive personal (one-on- one) service and attention. My aim is to utilize a service system that emphasizes trust, respect, confidentiality, and compassion. Besides providing an excellent value to my patients, I am determined to create an unmatched atmosphere and facility that will add to the enjoyment of every patient and employee of my practice. I facilitate patients to condition themselves and to optimize their functionality for daily activities and for improving maximum performance in sports. I believe that a person's body is designed to enjoy sport, fitness, wellness, and life without pain and any discomfort. I'm committed to provide quality biokinetic service that focuses on the overall health of each and every patient, including rehabilitation and exercise advice and assistance. I am further committed to the philosophy that I exist for the patient and their well-being. On a personal level, I love to do sport and being physically active. I was a provincial netball player and swimmer at school as well as u/21 level. I discovered cycling since. I enjoy cycling on the road as well as getting dirty on my mountain bike. I enjoy marathon mountain bike races and I have also completed several mountain bike stage races. My next goal is to do the 9 day Joberg2c mountain bike race, and also to do the 8 day ABSA Cape Epic (the Tour de France of mountain biking). Jaime grew up in Cape Town, where she completed her schooling and studies. Here she developed her passion for sport and physiotherapy. Being surrounded by a sport orientated family and competing in various sports from an early age. Jaime began to work at Bell Rogers & Harris in 2017 to pursue her love for the treatment of sport injuries. From an early age Natalie has had a passion for health and fitness. She followed this passion into adulthood by completing BSc degree in Physiotherapy. Natalie enjoys running and has completed numerous half marathons. She joined Bell, Rogers and Harris in 2017 and works at the Wilgeheuwel and Bryanston practices. Petra is originally from Port Elizabeth. Relocated to Gauteng in 2009. Specific fields of interest are treating and managing sports injuries. Was involved with provincial and local rugby teams. Have also been active as an equine physiotherapist for the last 13 years. Petra actively exercises at the gym, rides a horse and does ballroom dancing. Much of Kayleigh’s interest in sport was reinforced through supporting her brother in his pursuit to become a Springbok swimmer. Her stringent training in local and International Ballet and Contemporary dance ignited her interest in healing and fuelled a desire to understand elite athlete differs from a good sportsman. Kayleigh worked closely with the Pain management unit during her community service, which sparked an interest in the management of chronic pain. Simone was born, and grew up, in Johannesburg. While at school she developed her love of sports and played at high levels in Netball, Cricket and Soccer. She has a keen interest in orthopaedics and sports and practises from both the Off Nicol and St John's College practices. Simone joined Bell Rogers & Harris in 2016. Loves working with people. Passionate about aquatic therapy and it’s application in the rehabilitation of Orthopaedic conditions and sport injuries, as well as neurological conditions with a keen interest in Parkinson’s Disease. Lindsay has very recently joined Bell Rogers and Harris as a business partner – and is excited about the extensive growth and vision of what is a dynamic, friendly and caring practice. 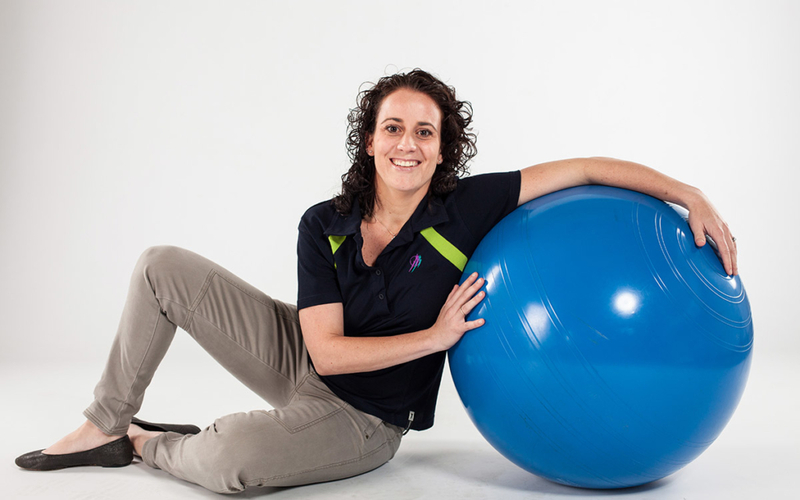 Northern Irish born Tanya takes her heritage seriously and enjoys injecting humour, tradition and warmth into the daily running of what has become one of Johannesburg’s most respected Physiotherapy practices. Suzanne is the “Rogers” of the dynamic Bell Rogers & Harris Physioworx team and as such, is one of those responsible for the smooth running of the ship! Growing up in sunny Durban, Nicole decided it was time for a change of scenery and headed down to Stellenbosch to study human movement studies. She has always been a keen and active sportswoman. Passionate about helping others and with a love for physical activity, Jenna-Lee decided to study Biokinetics. She completed both her undergraduate and postgraduate studies at the Nelson Mandela Metropolitan University. Christina keeps in touch with the latest developments in the health, wellness & fitness industry and is registered to do international qualification in Golf and Pilates in early 2014. Christina is looking forward to providing Classical Pilates courses throughout 2014! Jane was born and grew up in Zimbabwe. She moved to Johannesburg 5 years ago for “greener pastures” and for the love of South Africa. Jane has a Matric certificate and a call centre certificate. Carol loves to embrace new ideas and is passionate about caring for and supporting the unique needs of each person. She is enthusiastic and committed to therapeutic growth and development. Is passionate about working with people, especially children and has a keen interest in orthopedic rehabilitation as well as neurological conditions. Gretha Garnett is a hard-working, dedicated, motivated and loyal person who loves working with people. She’s driven to make a difference in other people’s lives. Mae studied a Bachelor of Health Sciences specialising in exercise science, followed by Honours in Biokinetics, at Wits. Caroline grew up in the small town of East London. She has always had a strong interest in sports and sports rehabilitation. Jaime grew up in Cape Town, where she completed her schooling and studies. Here she developed her passion for sport and physiotherapy. From an early age Natalie has had a passion for health and fitness. She followed this passion into adulthood by completing BSc degree in Physiotherapy. Petra is originally from Port Elizabeth. Relocated to Gauteng in 2009. Specific fields of interest are treating and managing sports injuries. Much of Kayleigh’s interest in sport was reinforced through supporting her brother in his pursuit to become a Springbok swimmer. Simone was born, and grew up, in Johannesburg. While at school she developed her love of sports and played at high levels in Netball, Cricket and Soccer.